Here comes 2019 and we all might want to renew not only ourselves but also our houses by re-furnishing it. If you are wondering what kind of furniture should be used, check out 10 must-try outdoor wicker furniture trends in 2019 below. 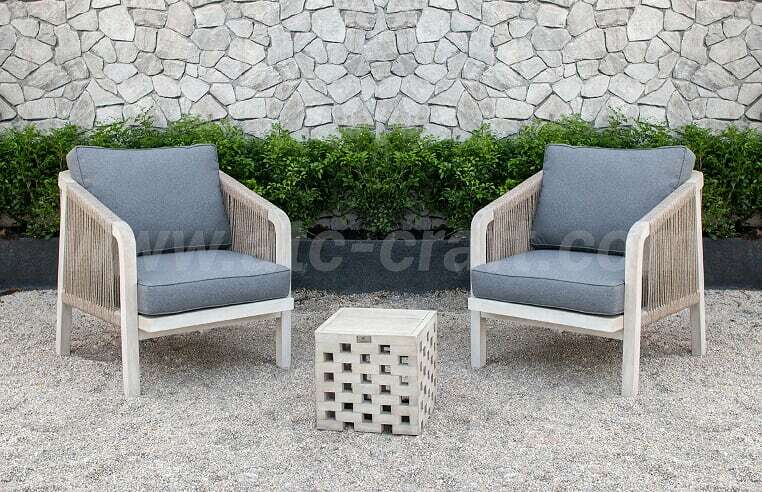 Another worth-noticing recommendation from us – ATC Wicker Furniture Supplier – is that, no matter which style you are going for among the ten, wicker furniture trend should not be missed due to their convenience, reasonable costs and 2019 trendiness. A return to handcrafted authencity, especially when it comes to furniture, is another trend for 2019. There is nothing like having a piece of furniture in your room which screams craftmanship and custom design. Craftmanship is not only about high quality but also artistic look. And the great thing about custom designed furniture is that it is bespoke to you, is one of a kind and fits your space perfectly. It might seem to be a bit more of an investment than other furniture purchases, but the grand statement they make is worth it for sure. Firstly, wood, which is one of the best materials on world, can ensure the quality needed for long-term furniture. Secondly, our customers can introduce a new theme into their houses with a kind of common material like wood. Besides, it will also be most cost-effective for home owners making furniture purchases in the long run. Finally, handwoven rope is a unique material that can perfectly blend with wooden pieces to create outdoor wicker furniture trend. 2019 witnesses a trend in using bright elegant colours. As we can see, colour of the year claimed by Pantone, Living Coral, is also a blush one. For furnishing our houses, according to Elle Decor, more than 10 out of 20 top colour trends are warm, bright and elegant ones. And the first place even goes to Woodland Shade, as nature has long been an inspiration to home decor. In addition, neutral shades of gray and brown plays well with different colours and is adaptable to many kinds of both exterior and interior areas in our houses. Such an elegant hue can also bring calming effect, a feeling many house owners might seek to incorporate into a space. The colour can be used in many parts of a furniture set like in the fabric of cushions or decor pillows. But the best way is to apply it right in the materials you chose. No need to re-paint metallic or plastic frame, use outdoor wicker furniture trend: wooden frame and handwoven rope instead. These two items has an ideal natural Woodland Shade, which will last long and never go out of style. While this back-to-basics movement has been there for a few years, it is now stronger than ever. From rattan to wood to natural textiles, natural materials are making a reigning in 2019 furniture trends. By going natural, you will have a feeling of fresh and relaxation arriving home. Besides, most furniture made of natural resources can last for years to come. One of the most well-known and widely used natural material is wood. Apart from its natural appeal and strength, wood is also great at retaining heat, which keeps you warm in cold weather. It’s 2019 and if wood furniture sounds too boring and classic, you can try mixing it with handwoven rope. Wood is usually elegant, yet rope is rough and perhaps, a little bit rustic. The combination of those two – wicker furniture trend – might turn your space into a unique trendy one. However, such a tendency might not be the best choice for those with less financial priority on furniture. This is because furniture made from natural materials like wood is usually expensive and prone to outdoor damages. If you are still looking for natural style, but with reasonable cost and better durability under weather effects, take our advice: Wicker furniture trend is worth trying. The reason is that despite being synthetic, appeal of wicker barely has any difference compared to that of natural one. It is also considered all weather resistant and usually costs less. The two advantages have made wicker furniture trend an approriate solution to your home during this year. Curvy furniture is making the rounds, popping up in both high-end resorts and modern houses in 2019. It helps energize the room in a way its square counterpart can’t. However, when it comes to such a shape, we might be a little bit hesitant as not all materials can make it. Looking for the right furniture that is strong in material yet curvy in style seems to be a challenging task. 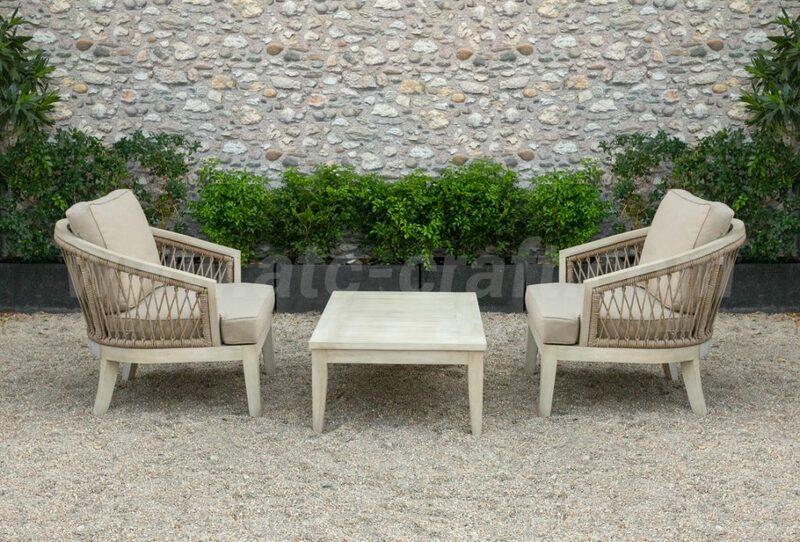 But don’t worry when ATC Rattan Furniture Supplier with outdoor wicker furniture trend can help! Not so many people would love to use metal in their furniture products as it is quite hard to combine it with other materials in the room. However, metal is part of trendy 2019 furniture, so just go for it in a wise way. But how? Let us show you. First, metal can be used in frame as it is lightweight and easy to clean. For example, many of ATC Furniture Supplier’s products have frame made of alu or steel. 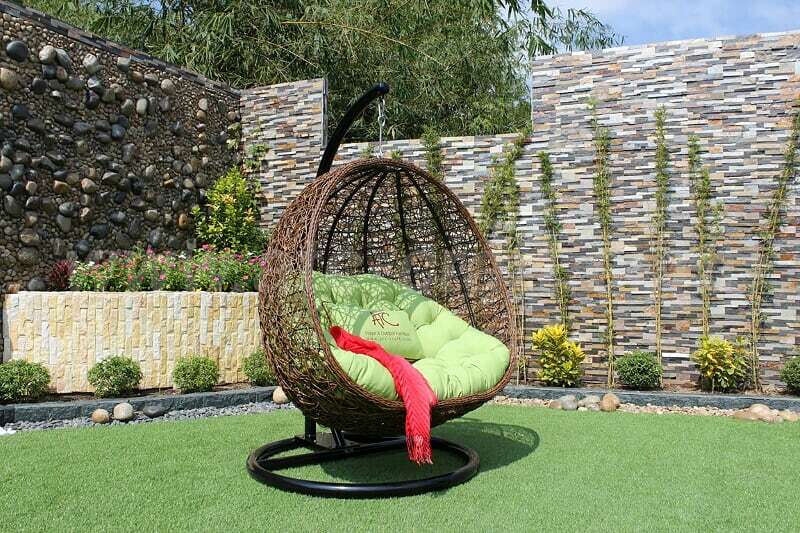 A whole big piece of metal furniture might be sometimes unable to match with other materials, but a steel frame can easily match with synthetic rattan to create best egg swing chair. Secondly, though you might not choose a metal furniture set, it is recommended to use a small metal piece as decor item in your living area. Such a piece can do a great decorating job and be an outstanding remark of the space. When it comes to furniture, the first thing to come up in your mind might be a sizeable sofa set or a big comfortable bed. Small details are the ones easily forgotten by many of those trying to furnish their interior or exterior space. Such an easily forgotten factor has become new trend in 2019, so make sure that you don’t miss small details while going trendy. They can create uniqueness and a high level of perceived value. They can be in upholstery, in design or in materials. For upholstery, make sure that you choose the right furniture maker whose flanged seams can make a big difference. ATC Furniture is proud for our reputation and high-end products. We focus on customers comfort and other experience, therefore, making huge efforts to maximize the quality including even smallest details. For design, make sure that the style suits the surrounding area. Harmony is an important factor, and if you find no available approriate furniture on the market, go for customized one and be a part of designed process. For materials, which appears to be the most vital, bear in mind that no matter it is natural or synthetic, the durability and appeal even in small details should be under more consideration. 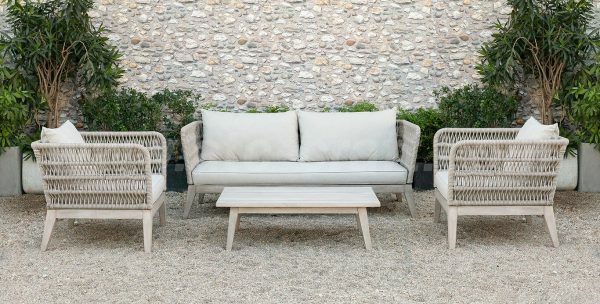 Natural wood or handwoven rope furniture might be on trend in 2019, but synthetic rattan can be a good choice for those with lower budget. Even metallic pieces can also be used in an innovative way to decorate. As long as it is durable, high quality in details and attractive, do not hesitate much. 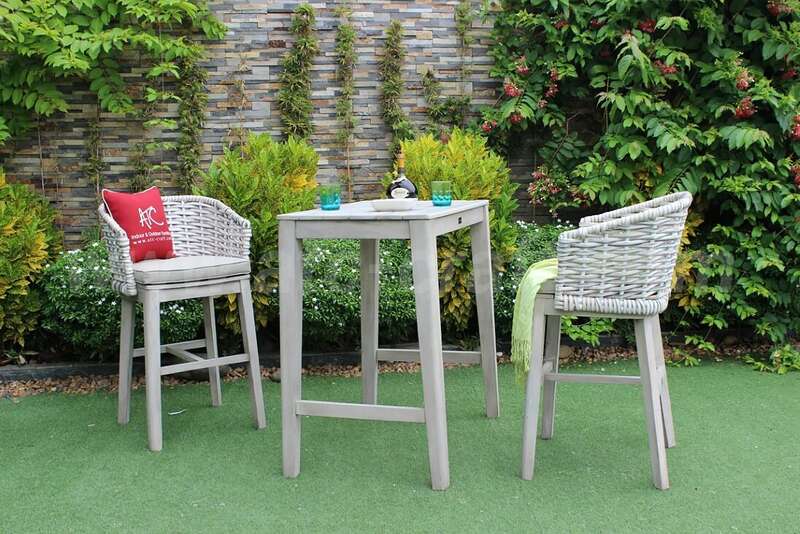 In conclusion, 2019 top outdoor wicker furniture trends are the one for us to follow: bold style, customization, bright tones, natural or metal materials and small details. However, do not forget about harmony and quality. Now it’s time to take all our recommendation and make a wise choice. No matter which trend you would choose to go for, we can help make it come true.